AMD LASERS recently launched the Picasso soft-tissue diode laser that combines ease of use with compact yet powerful design, delivering comprehensive results for virtually any diode procedure. 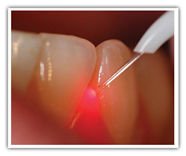 LANAP is an acronym that stands for Laser Assisted New Attachment Procedure. 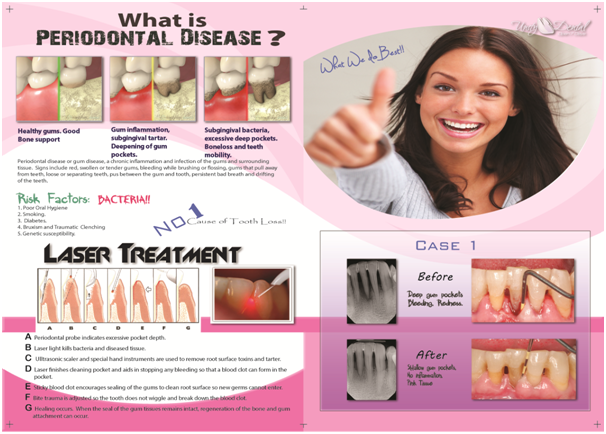 It has revolutionized the treatment of gum disease by combining the most effective and established methods of treatment with the precision use of a special laser. Although as much as 66% of the adult population has some form of gum disease, many avoid seeking treatment because of their aversion to the discomfort that often results from dental surgery. 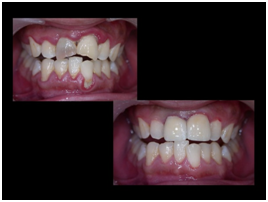 LANAP is changing this, by providing an alternative to traditional periodontal surgery that is every bit as effective and much more beneficial to the patient, both in the short term and in the long run. LANAP itself consists of four simple steps that are much less traumatic to the teeth and gumline than traditional gum surgery and which help the mouth heal much more quickly. A. A perio probe determines the degree of excessive pocket depth and thus helps the dentist better identify diseased tissue and areas of bacterial infection. B. The laser then removes this diseased tissue, while the heat of the laser kills the bacteria. D. The laser is then used to clean the pocket one more time. E. The gum is sealed closed to prevent further infection. F. Any occlual interferences [high biting spots] are smoothed down to create even force on the tooth. 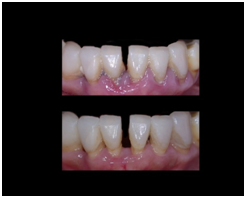 G. Allowing the bone to regenerate and the periodontal ligament to re-attach to the tooth! Because of its less invasive nature, there are a number of noticeable advantages and benefits that LANAP offers over traditional surgery. For one, there is a much faster recovery time because most, if not all, damage to healthy tissue is proactively averted by the thorough use of advanced, precision technology. 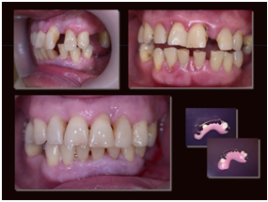 Because LANAP selectively removes diseased tissue, the height of the gums themselves around the teeth is much better preserved, and there is also much less post-operative stress to the mouth. Any minor pain that a patient may feel is almost always manageable without a prescription, and can be treated with a variety of over the counter medications. 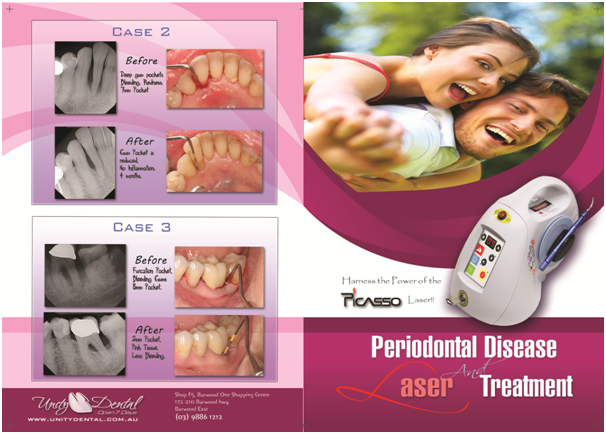 Laser treatment causes minimal bleeding compared to steel instruments and the heat it produces continuously sterilizes the periodontal pocket while it is busy cutting away necrotic and diseased tissue. As a result, the patient feels almost no pain either during or after the procedure. For many people, the aversion to surgery is motivated by time constraints, as much as it is motivated by an aversion to pain. People with demanding careers do not have hours and hours to spend in surgery, and have to schedule time off weeks, if not months, in advance. Traditional dental surgery normally takes four 1-hour sessions with multiple visits for suture removal and checkups. LANAP, on the other hand, takes only two 2-hour sessions and two follow-up visits. This means more can be done with fewer days off, and typical recovery is almost always less than 24-hours, making an immediate return to work both possible and comfortable. After having LANAP performed, gum recession is minimal in comparison to that which typically follows normal dental surgery. This, combined with new cementum and collagen formation on the roots, prevents subsequent tooth loss.